If you're anything like me you might want to follow back just about everyone that follows you, but once you start to get a large or even slightly moderate following, you'll start to realise you're following far too many accounts, you're not even sure who these people are anymore and you're seeing a whole heap of crap you couldn't care less about. My rule is that you should feel compelled to comment on at least 25% of an Instagrammer's posts in order to keep following them. If you don't, simply unfollow and move on. 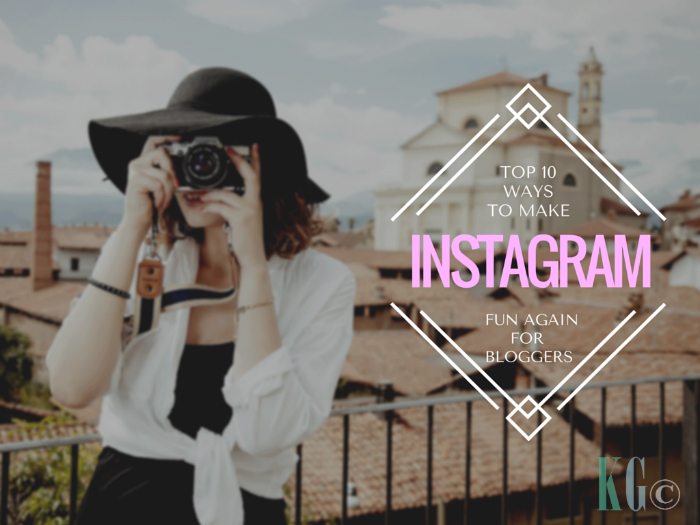 This will make your Instagramming faster and boost your engagement. That title may be a little misleading because of course the more followers the better, we are bloggers after all but what I mean is don't purposefully get new followers the wrong way. What's the wrong way you ask? Following others to get a follow back, commenting on photos to get a follow back and liking photos to get a follow back are all ways you can get new followers the wrong way. Of course if you're not feeling overwhelmed by social media yet then these can all be good methods to boost your following, however if you're feeling stressed out or you simply don't have enough time to devote to social media, then there are better ways to spend your precious time. So follow who you want to follow. Don't follow for a follow. Not only should you be ignoring follows due to time constraints and not getting overwhelmed with so many accounts, your follower count is purely a vanity metric. In terms of engagement your follower count means nothing and brands are finally starting to understand this, so while you may be thinking "but I need a large following to work with brands" that's not necessarily true. Brands care about your loyal followers and your engagement rate, not your numbers of fake followers. If they are only considering your follower number when deciding whether to work with you or not, you probably don't want to be working with them anyway because they don't know their stuff. If you're engaging and being real with the people you follow on Instagram rather than being fake to get likes and vanity metrics, then sure your follower number is likely going to be a lot less but you'll have a much higher engagement rate, more loyal followers that actually click over to your blog when you post, which let's face it, is the entire point in the first place right? If you're posting content that's solely for your blog, or if you're interacting with your non-bloggy friends a lot on Instagram, then you'll want to consider having separate accounts, to follow your friends, post food pics, whatever it is. Thankfully Instagram is making this easier for us. It used to be a real pain having two separate IG accounts, I have two for my different blogs and Instagram has finally introduced the account switching feature which is going to make doing this so much easier. I've been waiting for this for ages! Something good to share that is! Of course, it doesn't have to be the best photo in the world but it does need to be authentic and fit in with your blog and personal brand. If you're not a parenting blogger, then don't post pictures of your kids all the time just to beef out your feed (see "have separate accounts" above). Make sure all your photos are high quality stuff you actually want to share with your followers. Don't simply post a pic just because you feel like you need to post something everyday. Be real. Don't follow in hopes of getting a follow back. Ignore the numbers, numbers don't mean anything anymore, engagement is the real value. Share your own content! Be real, don't share stuff that's not yours. Instagram is all about sharing snaps on the go. It's only fun when you use the network how it was intended to be used. Stop making everything a marketing platform, people can see straight through it anyway. Use hashtags but don't click on them. It's cool if you get other followers by using hashtags yourself, but unless you enjoy looking at really bad and distasteful nudes, just don't go there. Trust me. Periodically purge your following list. If you're not loving an account, unfollow, if you're not engaging on a regular basis, unfollow, if you're not enjoying being on Instagram anymore, it's time to spring clean that list! Forget it. Go on when you feel like it and only when you feel like it. Is social media really worth the time and effort if you're not loving it anyway? If you're bored of it, put that time into something else productive, like actually creating content for your blog, rather than creating another social media post that gets lost in the noise. Take a break and come back to it, you'll enjoy it more after a holiday. Are there any rules I've missed? 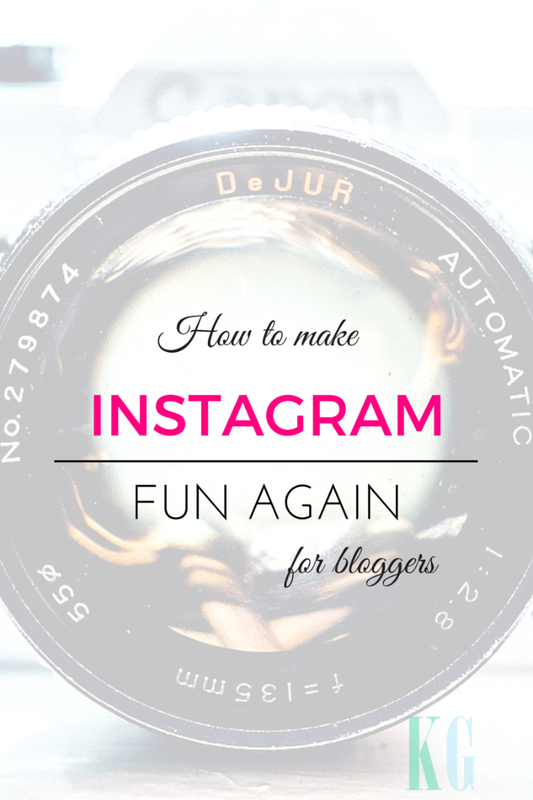 How do you keep Instagram fun? Let me know in the comments and please follow me on Instagram, I'd love to follow you too but of course, only if we love each other's snaps!